8 litres of milk into what should be a kilo or more of brie. Now all we have to do is wait three to six weeks to find out if it’s any good. 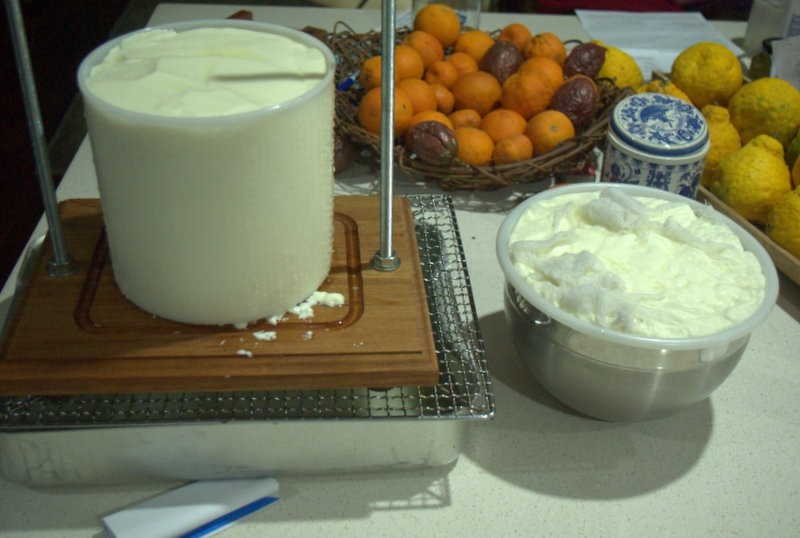 And while she’s giving us five litres of milk a day, we need to make no less than 13 more batches of cheese like this on blind faith, before ever we get to try this one.